We recently had one of our Powell artists here at the shop to try new flutes and headjoints. He tried several headjoints and flutes made from different metals -- gold, silver, platinum, and Aurumite. First, the artist tested the flutes in a small office. Then, the artist moved on to a larger conference room. Finally, he moved to a large "auditorium." Obviously, the sound varied depending on the acoustic space, so it was important for him to try the instruments in different spaces. The artist was particularly concerned with projection. The auditorium would create a space that served as a a better gauge of how far the sound would carry than a smaller room could provide. For the artist, projection was a key factor because many of his current performance engagements are solos with orchestras. Orchestral performers are often looking for equipment that will allow them to blend with the section as well. When it comes to trials, sound is really central to any test. However, there are other factors that the player needs to evaluate, such as resistance and ease of articulation. Metal properties and characteristics will factor into the mix as one considers price range as well. 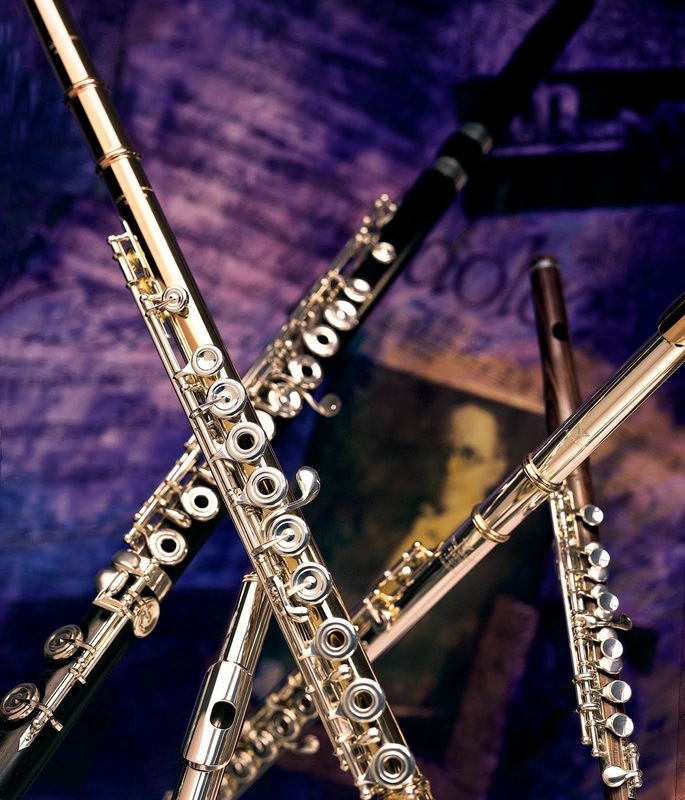 The ability to customize the flute and headjoint components allow players to have "a bit" of metals that create certain qualities while staying within a price point that is comfortable (such as a gold riser on a silver headjoint). When considering metal choices, players may have allergies that need to be taken into consideration as well. Our Customer Service Manager recounted one customer with a silver flute and headjoint who eventually developed a rash under her lip, which was indicative of an allergy to silver. When it comes to headjoints in particular, other players may simply have older headjoint styles and find that a variety of newer cuts provide them with all the characteristic qualities they are looking for in something new. Our artist had an idea of what he thought he would choose and then went with something quite different after several trials in different rooms. He also asked for feedback from staff members in a "blind test" in the auditorium. If you are interested in a Powell flute or headjoint trial, you can submit a request at https://powellflutes.com/schedule-trial. Good, but the question is: what model/metal he chose for maximum projection?